THOUGHTSKOTO Thoughtskoto : Brain Aneurysm: What You Need To Know? 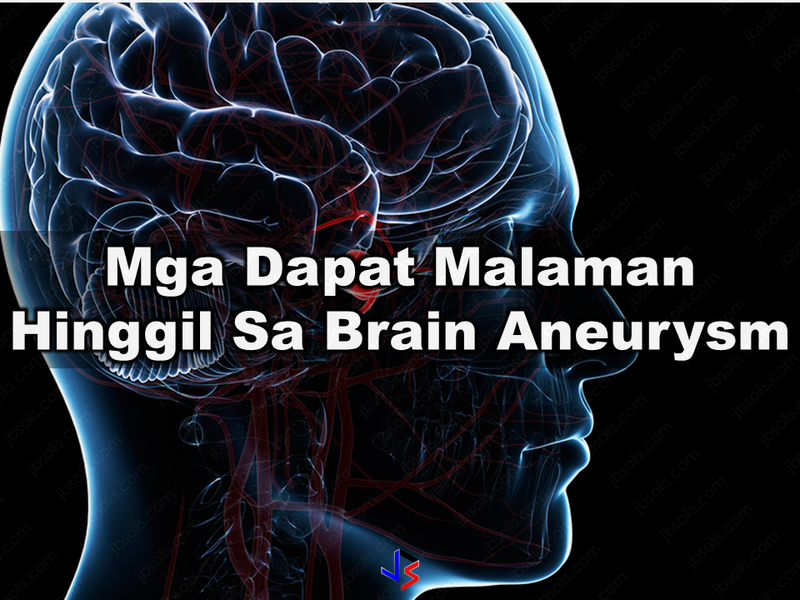 The recent death of Isabel Granada, a 41-year-old veteran Philippine actress, has raised awareness about aneurysm although it has been a very serious problem for ages in different parts of the world. Brain aneurysm is a deadly medical condition with high fatality rate. The symptoms are not easy to determine and the causes may include activities we usually neglect. With brain aneurysm, we may be active and healthy at this moment but nobody knows when it could get you. Its a silent killer. BRAIN ANEURYSM- is the inflation of the weak walls of the arteries which our blood flows from the heart to our brain. The rapture of aneurysm in the brain could instantly kill anyone if not prevented. It can also be a genetic or hereditary issue. If your family has a history of aneurysm, most like ly that you could also suffer from it. It is better to see your family doctor and have a check-up . Control your blood pressure and observe clean living— no alcohol, do not smoke and avoid stress and anger. What are the usual causes of aneurysm? What are the symptoms of aneurysm? Brain aneurysm is asymtomatic or doesn't have a definite symptom. Who are prone to aneurysm? 1. Although the young people cannot be declared as free to aneurysm, people with ages 35-60 are the usual victims of it. 2. Females are more likely to have higher risk of aneurysm as compared to male . 3. Approximately 500,000 people die due to aneurysm every year around the world. How do you prevent aneurysm? 1. Have a healthy diet. 3. Avoid excessive coffee intake. 4. Avoid eating salty foods.